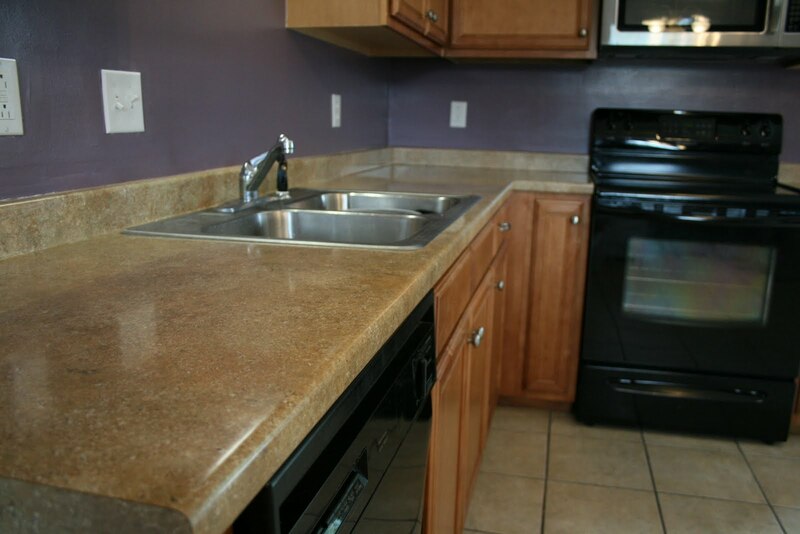 see this ugly yellow countertop? 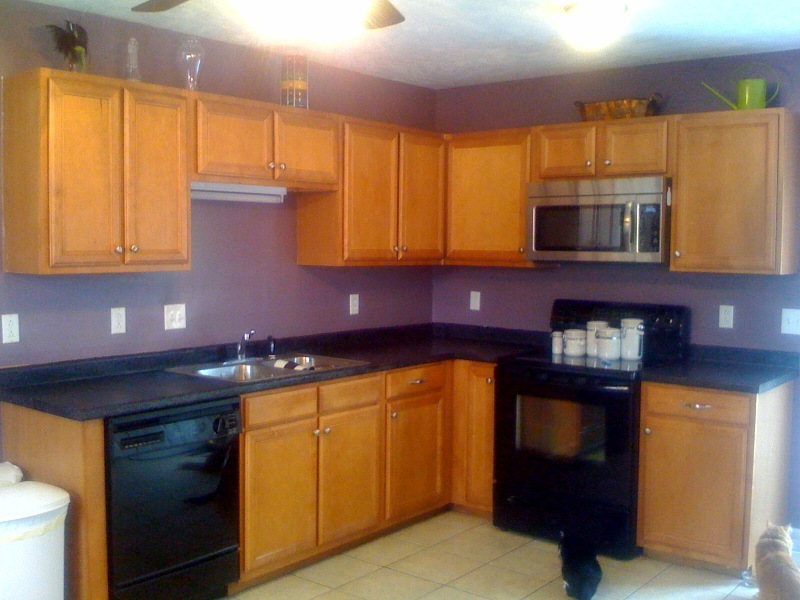 it really doesn’t go with the cabinets, and really doesn’t go with my awesome purple walls. so we decided to change it. thankfully, ready made magazine came through with a free countertop transformation package for some readers and we were lucky enough to get one! 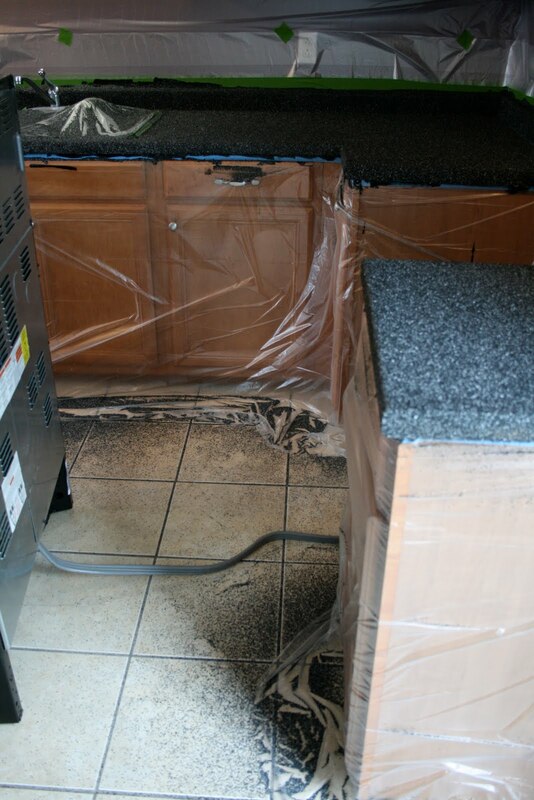 basically, you sand down the existing countertop. 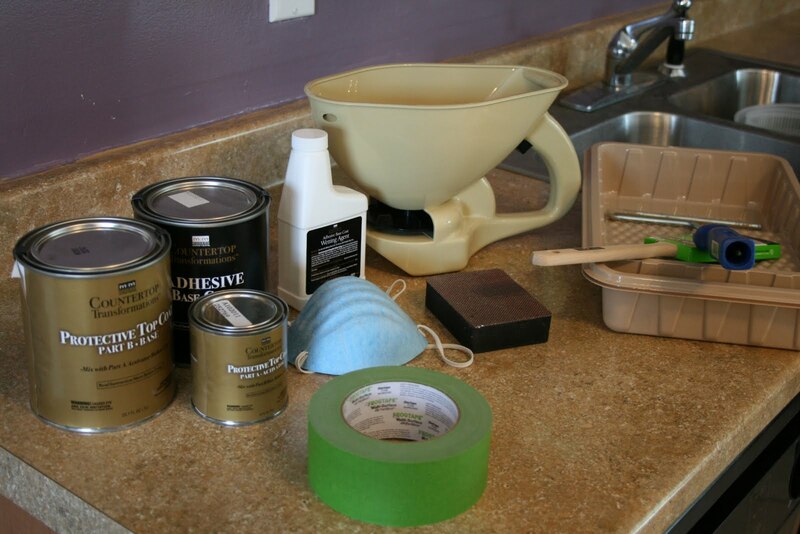 clean it, paint a colored thick, tacky paint/glue on the countertop (we chose black). then proceed to completely destroy your hopes of ever having a spotless kitchen by using a rotary spreader to spread massive amounts of multi-colored chips on the wet surface. 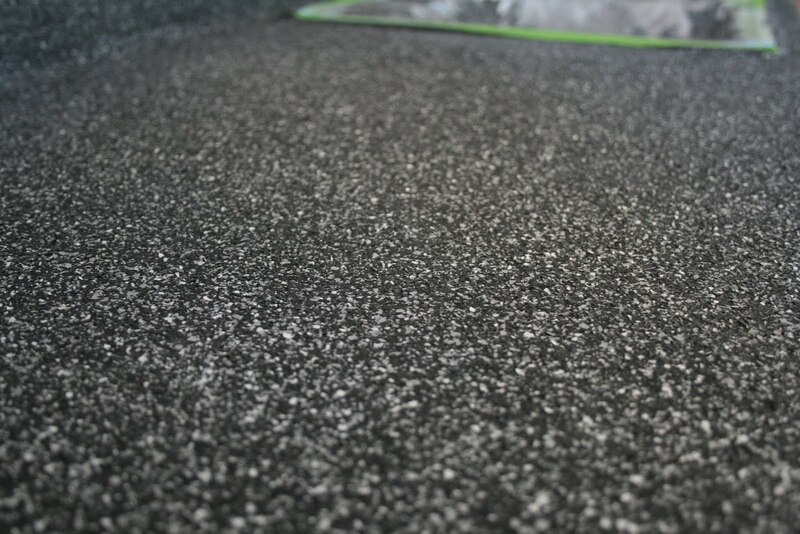 after letting it dry for 12-16 hours, you sweep and vacuum all of the loose chips from the surface, scrape any loose ones from the top, vacuum again, then sand the hell out of the countertop to make is smooth. after throughly cleaning up all of the dust, you mix and apply a protective, shiny clear coat and let it harden for at least 24 hours before even looking at it. 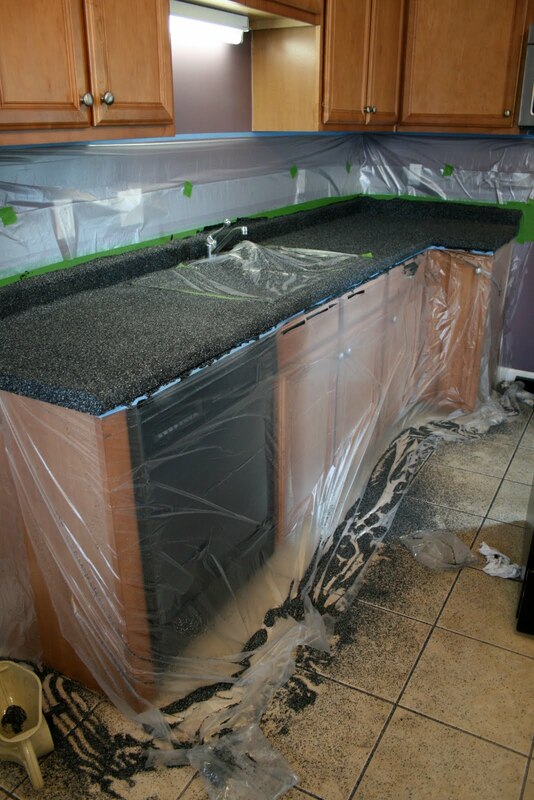 after a week you can resume full functional use of you new countertops. and viola! here you go. 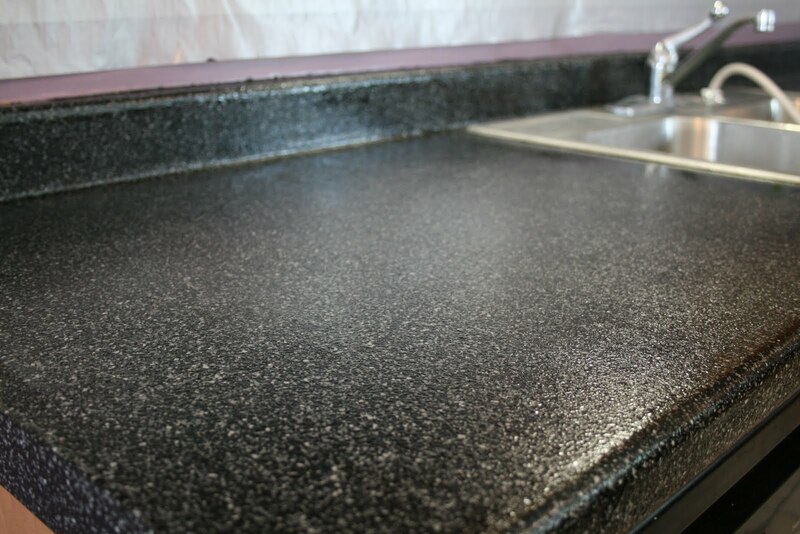 same kitchen, different countertop; looks SO much better!!! we made some mistakes and if we had it to do again, we’d do a few things differently, but we’re still really really happy with the results! not too bad for a weekend project. wow, that looks like a lot of work. I don't think I would have the patience but the end result looks good. it wasn't too bad. leaving it alone was hard, and i am a neat freak, so having the chips all over the house for a week was driving me mad. all said and done, i'd do it again. Next Post ever seen a dragon boat race?